Orphaned Annie Paxton and her brothers may have lost the only home they've ever known, but they're determined to make a better future in St. Joseph, Missouri. Annie dreams of a pretty house with window boxes, and having friends, and attending church every week. But then her brothers spot the ad for a new venture called the Pony Express. "Wanted," it reads, "Young, skinny fellows not over eighteen. Must be expert riders and willing to risk death daily. Orphans preferred." 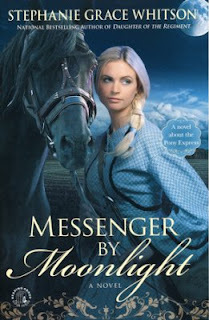 Sure enough, both her brothers land jobs as Express messengers, and Annie puts her dreams on hold to work as a cook at Clearwater Ranch, a station along the Pony Express route. Annie struggles to adapt to her new job--work made all the more challenging when she has so many to feed and few ingredients. The gruff station owner, George, doesn't seem inclined to make her life any easier, or at least not at first. But slowly a friendship builds between them. When Annie attracts the attention of a refined, dashing lieutenant from the nearby fort, she'll have to learn how to trust her instincts and follow her heart, even if she's conflicted about which way it's leading her. Purchase the book HERE. 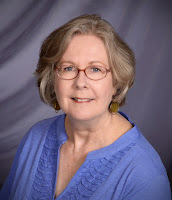 STEPHANIE GRACE WHITSON is a bestselling inspirational author of over 20 books. She's a two-time Christy Award finalist and the winner of an RT Book Reviews Reviewer's Choice Award for Best Inspirational Romance. When she's not writing, she enjoys taking long rides on her Honda Magna motorcycle named Kitty. Learn more about Stephanie HERE.